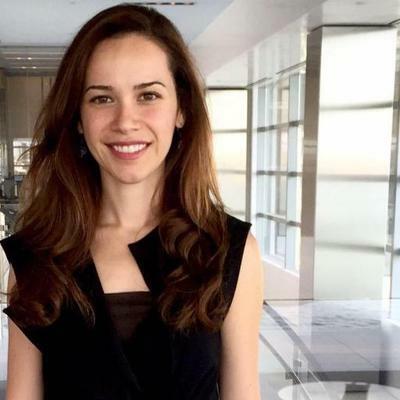 To say that alumna Norma Padrón (MAE ’08) is passionate about health is an understatement. Growing up in the Rio Grande Valley, Padrón witnessed firsthand how difficult it was for people to get access to healthcare. McAllen, Texas, where she was born, is one of the most expensive healthcare markets in the country, with the lowest income per capita yet the highest expenditures in healthcare, according to a 2009 article in The New Yorker. “It’s a very poor area, and it was salient that healthcare was unaffordable. It was not uncommon for people to go over to the Mexican side of the border (to receive medical treatment) instead,” she said. Those formative years made an obvious impact. Professor Charles Becker recalled Padrón’s personal research at Duke focused on the health outcomes of people on both sides of the U.S.-Mexico border. “A lot of students arrive and they don’t really know what they want to do. She came in with a much clearer sense of a research agenda,” said Becker, who mentored Padrón during her time as a student in the M.A. Economics (MAE) program. As she moved along the academic path, earning both a master’s in public health from the Universitat Pompeu Fabra in Barcelona and later a Ph.D. in health economics from Yale, her interests evolved: from assessing the governance of health systems to her most current agenda, which is to design and evaluate population health strategies using clinical, claims, and publicly available data. Padrón is an assistant professor at the Thomas Jefferson University College of Population Health, an academic institution based in Philadelphia, Penn., and associate director of the Main Line Health (MLHS) Center for Population Health Research. In the latter, which she affectionately refers to as her “day job,” Padrón supervises and conducts research on population health, health disparities, and health outcomes. She looks at the big picture of population health, studying how economic, environmental, social, and policy issues can impact health outcomes of specific groups of people. To hear her speak about population health as it relates to healthcare delivery — and the role of economics within it — is to get a glimpse inside a rapidly evolving and increasingly complex system. This past summer, Padrón began a one-year term as chair of the Industry Advisory Board of the National Science Foundation’s Center for Health Organization Transformation (CHOT), an organization that bridges the gap between academia and industry to provide evidence-based research on tools, technologies, and best practices that healthcare industry leaders can implement within their organizations. As someone with a foot in both worlds, she is uniquely well-suited for the job. So what is an economist doing at one of the largest health systems in the Philadelphia region? Padrón has spent the last decade answering such questions in her research as a health economist, and she has collaborated with healthcare decision makers to implement strategies that facilitate the delivery of optimal care. Looking ahead, Padrón has her eye on work — research or otherwise — that leverages technology to improve equitable access to healthcare.